On the very first archaeological dig of her career, Andrea Berlin discovered the room of a house that somebody had lived in around 800 B.C. Talk about beginner's luck. "I felt like a time traveler," she says. Berlin is now a professor of archaeology at Boston University, where she teaches and studies ancient civilizations in the Mediterranean. She finds their sculptures and tools and lots of pottery — anything tangible and substantial enough to last two or three thousand years. But even though each dig brings a lifetime's worth of stuff to go through, Berlin says she still wishes she had more. "I think archaeologists are jealous of historians who have access to modern information sources – audio, for example, individual interviews and shows and recordings," she says. Ever since the first identifiable recording in 1860, sound has added captivating and significant context to history. "MLK's 'I have a dream' speech — to hear him say it, rather than read the words, is a much more visceral and significant, I think, medium for it," says Gene DeAnna, the head of the Library of Congress' recorded sound section. The Library of Congress is one of thousands of institutions, large and small, trying to make sure that future historians — and even future archaeologists — have access to those recordings. DeAnna oversees the library's multi-decade efforts to save millions of the nation's recordings before they're lost. They want to preserve things like a 1963 interview by radio personality Studs Terkel with Bob Dylan, talking about "Hard Rain's Gonna Fall." It's part of the library's agreement to preserve Terkel's radio interviews with dozens of famous voices from the 20th century. "[Terkel] is a tremendous intellectual force, so to preserve that archive of 25, 30 years of radio is a great project," DeAnna says. But preserving audio like this is often an intricate, time-consuming and expensive process. For one thing, a lot of the audio they're working with is really old — like this 1904 recording of operatic tenor Enrico Caruso. When you're working with old formats, you are often racing against time. 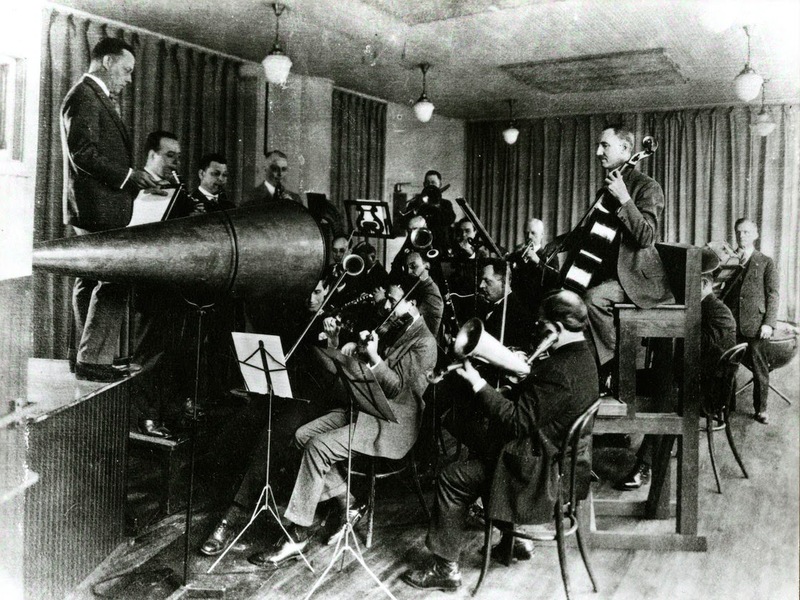 With wax cylinders from the 1890s — one of the oldest recording formats — the heat from your hands can cause them to crack. They require highly specialized, expensive equipment to digitize, as well as people who know how to use it. Records made during World War II, constructed out of glass because other materials were going toward the war effort, are so fragile that they can break even when they're handled properly. And if it's on a cassette tape, it's automatically at risk, Deanna says — "no matter how well it was recorded, by whom, on what equipment. If it's on a cassette, it's just a terrible format for archiving." But the Library of Congress can only get audio recordings from the deteriorating formats as fast as they can play them. They're able to digitize about 15,000 recordings a year, and that's only a fraction of what's in their queue. "We're probably acquiring between 50 and 100,000 a year," DeAnna says. "We're at least stabilizing them in a good environment so that their deterioration will slow down, and we'll hopefully get to most of them before they're lost." Many already have been lost, according to a Library of Congress study in 2010. Radio recordings, which the study calls "an irreplaceable piece of our sociocultural heritage" (we're flattered), were rarely kept for safekeeping before the 1930s. At commercial record companies, master recordings of musical artists were sometimes thrown out due to space constraints. And once recordings are made digital, they're still at risk of being lost. Unless the digital format is updated consistently, it might not be recognized by a computer in 10 years. Modern recordings that were "born digital" — think songs streamed on Myspace — are especially ephemeral and at risk of being lost, the Library of Congress study says. "It's an active process, not a passive process," DeAnna says. "It's not like putting something on the shelf." Alexander Rose, director of the Long Now Foundation — an organization that strives to maintain cultural continuity over the next 10,000 years — says this is apparent to anyone who has unsuccessfully tried to open an early computer file. "Things that were written on stone 1,000 years ago we can still read. Things that were written on books 100 ago we can still read. Most things that were written on computer 20 years ago we can't read," Rose says. But Boston University's Berlin says, if we can figure out how to make our audio survive for millennia, future archaeologists will be thrilled. "In 200 years and 500 years and 1,000 years, there will be other people studying us," she says. "Maybe they'll be able to hear us."